PharmaScouts was established to provide recruiting expertise for the science side of biotech and pharmaceutical companies. We take advantage of our own science backgrounds to find, screen, build rapport, and recruit appropriate candidates. We help drug discovery companies attract top researchers and experienced management, and we help scientists themselves keep their careers on track. We are long term thinkers and relationship builders. While technical knowledge is important, finding complementary personalities, management styles, personal goals, and expectations is equally significant in building a winning team. 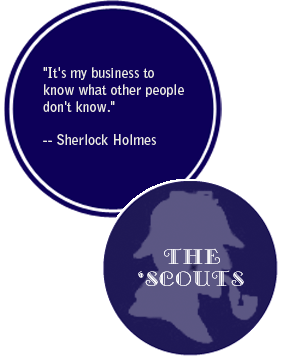 At Pharmascouts, we match all the clues to bring the right person together with the right opportunity for long term success. PharmaScouts was co-founded by Dr. Barbara Preston. Read her bio here.